Choosing the right cooler can be tricky, and it’s a matter of taste. 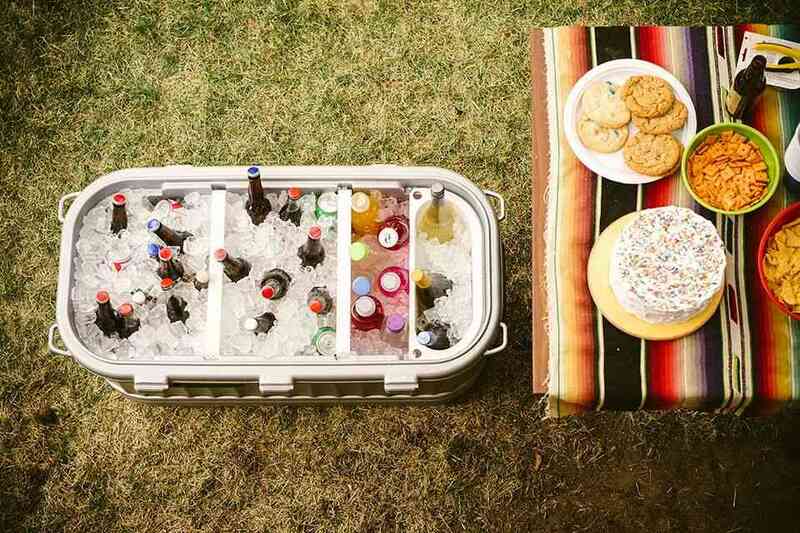 The truth is that you don’t have to spend a lot of money to get a decent cooler. 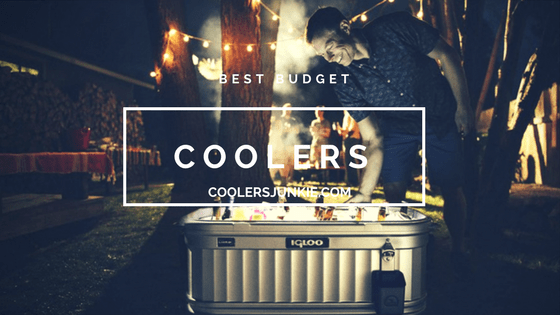 Yes, high-end coolers might you cost an arm and leg, but it doesn’t mean there aren’t budget coolers that can perform the primary function of a cooler, which is– Retain ice and keep your items cold or hot. If you know what to look for and spend wisely, you can surprisingly get a good cooler less than $100. However, the market is saturated with cheap options with poor quality. Now, our work here rid you off the disappointment and hook you up with budget ice chests that can take a beating and still stand strong. Sure, you can get a great cooler on a budget. Will it be the same as coolers like Yeti? Likely not. Is it good enough to hold ice for long, especially when the weather is hot? Absolutely. There is a time and place for a high-end chest, and it’s usually in demanding environments where quality is important. However, if you are an average user that only employs cooler once in a blue moon, or if you are on a budget, a regular cooler is a better buy. To be honest, we are not here to settle the debate over low-end vs high-end, but here are some vital points to look out for. Buying cheap ice chests will require some compromises. By going for affordable options, you are giving up Rotomolded functions like; tough construction, thick walls, longer ice retention and bear-proof resistance. On the other hand, the best models offer long ice retention times, tough build, grizzly bear resistant and much more. 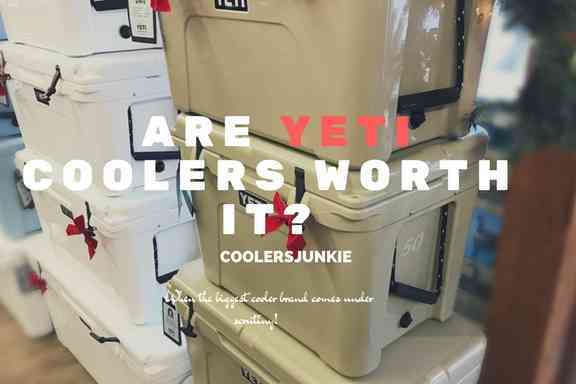 Bottom line – you will hardly get an experience that matches high-end coolers, but a cheaper option can give you as much quality that matches a cooler that’s two times as expensive. 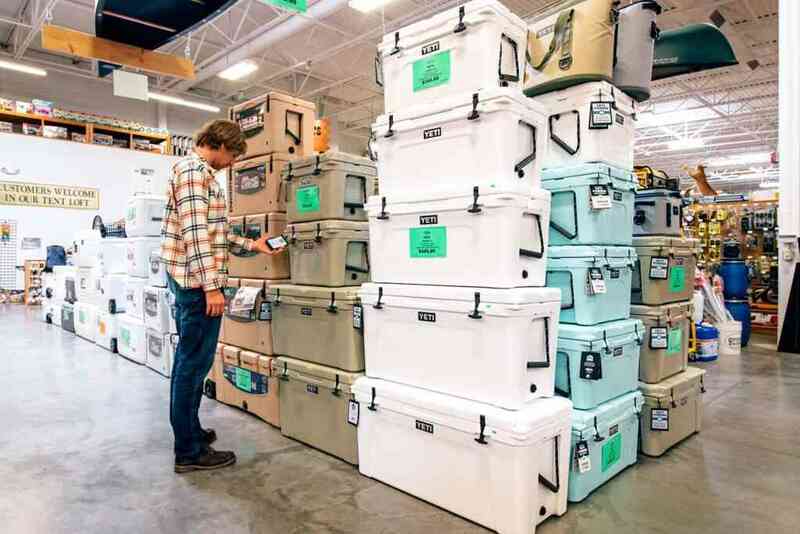 If you want a budget cooler has it all; strength, ice retention, and beauty, then the Coleman is the ideal choice for you. 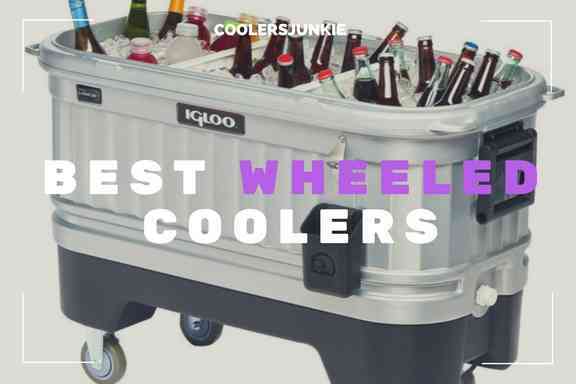 As a matter of fact, this cooler made it to our best cooler reviews. Forget the price, this cooler holds ice impressively for up to 4 days at 90 degrees Fahrenheit. The classic design is something that will keep all eyes on you when you are camping. Another great thing is the comfort grip handles which make for easy transport, While the robust stainless latch seals the lid and base for more extended ice period. 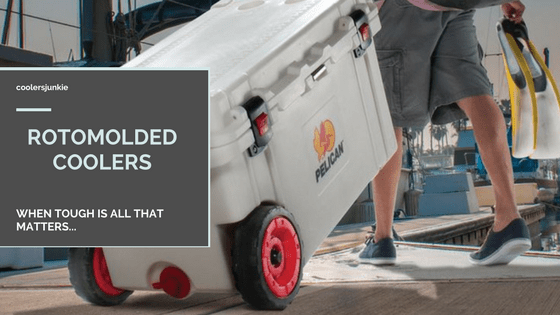 With a large capacity, the cooler fits in 85 cans and can hold 2-liter bottles stored upright, this allows you to pack enough gears for a lot of people. If it gets too heavy, the Have-A-seat lid is there for you to sit and relax on. There’s a leak resistant drain spout that ensures the water is drained completely without turning the cooler. Overall, the Coleman 54 quart belted is an impressive cooler that offers a lot for its price. Sure, the quality is inferior to high-end chests on the market. But considering the price and the features it offers, the Coleman 54 quart may be one of the best affordable coolers on the market right now. 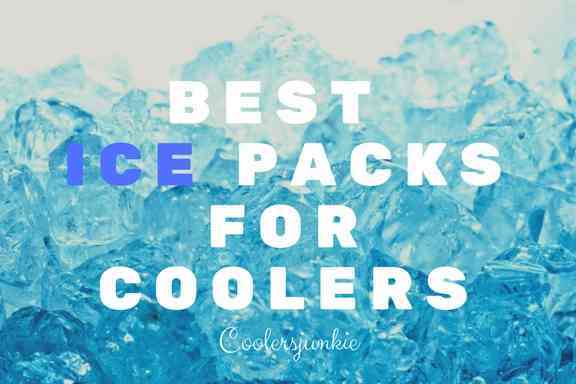 Is it possible for a small cooler as the ice cube to satisfy your needs? Well, if you are going to use it for personal purposes, it can carry enough supplies for you and a friend. It features a cube geometry design which provides maximum ice retention. Instead of non-skid feet, the ice chest cooler utilizes a molded corner feet for optimum stability. Surprisingly, the cooler wouldn’t slide off when kept on any surface. There’s a dry lid compartment in the lid to store your accessories. One cool thing we love is the curved back design which rests on the body when carrying. It comes with a single swing up handle which is a bit bulky & rigid, making it perfect in hands. We have already revealed how the design of this cooler makes a statement of its own, and that’s right. The only downside is the absence of drain spouts. Aside from that, the igloo ice cube is perhaps one of the best small coolers you can find. 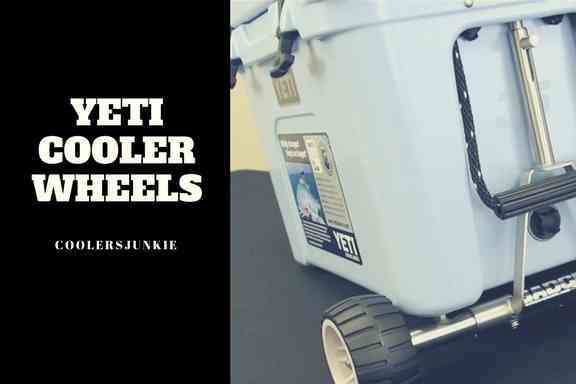 Are you looking for an affordable wheeled cooler? Well, it doesn’t have to be hard cause the Rubbermaid the perfect budget chest for your next adventure. Coming in numerous sizes ranging from 10, 20, 24, 34 and 60 quarts. Be rest assured, you’d find the perfect fit. The upper lid has a split design, the first half holds two cup holders, while the other lets you access the main interior compartment. With that said, the interior is made from materials that don’t absorb stains and it’s odor resistant, while the interior liners make it easy to clean. The highlight of this cooler is that it is made in the USA, be guaranteed of the quality the Rubbermaid holds. The wheels enable you to roll the cooler effortlessly on level grounds, however, as it is not heavy duty, you might find it hard to roll on the sand and on rough terrains. In addition, it includes long telescoping handles which aid in transportation. To be honest, this cooler does offer a lot more than the price. However, just like most inexpensive ice chests on the list, the insulation performance is quite low. Also, some users have complained of how hard it is to lift the lid. But for its price, the performance it offers should be applauded. There’s no doubt about this, the Coleman 48 quart cooler is among our top pick on the list. It includes the thermozone insulation which improves long ice time. It will be right to point out that this cooler doesn’t keep ice for days. Yes, it can be perfect for a day at the beach but don’t expect it to hold ice for more than a day. It features three attractive colors you could choose from. Although the cooler isn’t as tough as rotomolded construction models, it can survive impacts. The two-way flip-up handles are quite strong, but we doubt it will hold up after progressive use. This Coleman product comes with multiple sizes of 30, 36, 40, 48, 50, 100, and 150 quarts, meaning you’ll find the perfect fit for different functions like tailgating, camping, picnic et al. The Coleman’s quality comes under scrutiny especially as the result of the full plastic construction. Also, the hinges are at risk of breaking after continuous abuse. Although this cooler is not meant to last and the rotomolded options, it can manage to provide a few years of use. With the igloo marine breeze roller, you can have a cooler under $100 has a decent performance on all fronts. Starting with insulation, the igloo utilizes a cool riser technology, the result is a steep increase in ice retention. Don’t get your hopes high to get more than a day of ice, it’s just good as a dusk till dawn cooler and nothing doesn’t go beyond. It has ample unique features like Push-button telescoping handles which allow for easy rolling and cut inside handles for effortless lifts. However, the wheels are sturdily built, meaning, it’s best for smooth grounds. With a 41 cans capacity, be prepared to pack a lot of gears for your trip. The igloo marine is a perfect boat cooler as it reflects UV rays, comes with fishing rod holders and can survive beating in the sun. 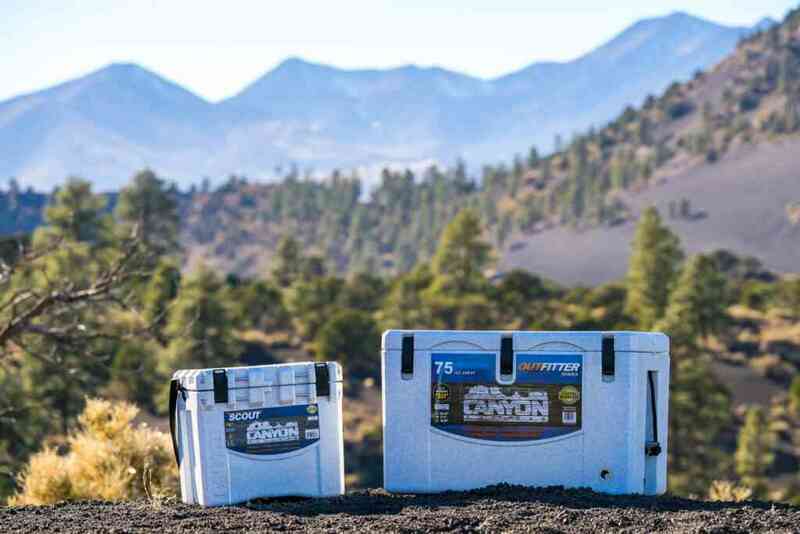 Overall, the cooler comes with a power exterior that can withstand harsh weather conditions. One thing we love about this cooler is how nicely everything is designed – telescoping handles, rollies and even Uv resistant body which is one of the major selling points of the igloo marine roller cooler. 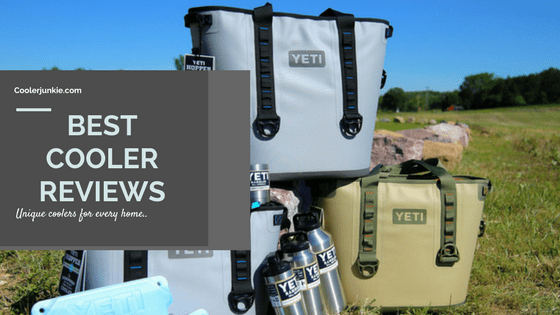 The RTIC 20 soft pack is great alternative to the Yeti hopper, with a cheap price tag and the same performance, the RTIC is the best affordable soft cooler that’s available. This good-looking cooler will definitely get a lot of great comments like: where did you get this from? Yes, it’s that aesthetically alluring. Coming with 2 inches of insulation, 100 perfect leak proof and made from puncture resistant materials, it’s built to hold ice for up to 3 days. with antimicrobial liner for mildew resistance and easy to clean interior, the RTIC is a perfect adventure companion. The 20 pack size fits in 20 cans, and you still have enough space for ice. The best part is regardless of the temperature the exterior wouldn’t sweat. Sturdy zippers that easy to pull blocks grime from getting into the, while blocking out heat as well. For ease of carrying, it features two fall out handles which is quite handy when the bag is filled, and the single shoulder handle allows for light weight lifting. 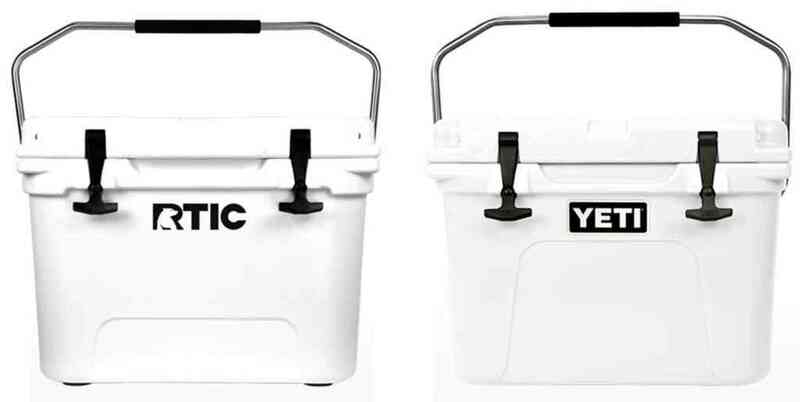 The RTIC 20 ack is a convenient cooler that can fit into your golf cart, car or truck. Plus the affordable price & ice retention is an excellent buy for people on a budget. This cheap small cooler is easily replaceable, just below $30 you can get a soft cooler which promises convenience and hours of insulation performance, thanks to the Deepfreeze & radiant heat barrier. The sizes range from 16, 30, and 48 can size capacity. Zippered exterior compartment enables users to store their accessories separately from food and drinks. The main interior is protected by a flip-flop open for easy access to your items. In addition, the main compartment is built with a durable hardbody liner which creates different storage areas for your drinks and food to prevent them from getting crushed. It comes with an easy to clean liner, you can remove tough stains and odors with a swipe. Also, it comes with an adjustable padded shoulder strap, meaning you can easily carry the cooler around. The portable size means you can squeeze the bag into a boat, and fits perfectly in the back of cars. If you are buying this cooler with the hopes of holding ice for more than a day, you’ll be very disappointed. The Artic zone titan manages to keep ice for at least 12 hours, anything beyond that we can’t vouch for. However, the cooler comes in at under $30, and for hours of ice at such low price, the Artic zone is a bang for your buck. Ao coolers are all about convenience. 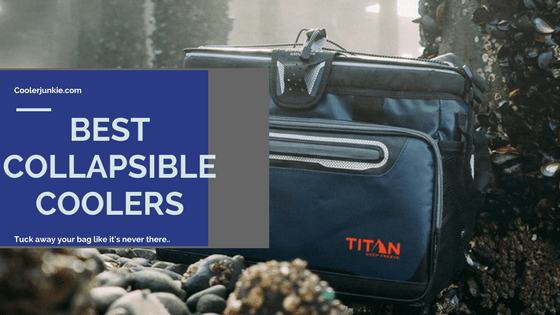 It has many unique features such as twice the insulation of an average cooler, puncture proof, and the sweat-resistant design ensures your cooler doesn’t form a puddle as a result of cold drinks. The interior insulation features a closed cell form which improves cooling performance. Think all soft coolers are weak? Unfortunately, you are wrong this time around, AO coolers have a tough exterior that wouldn’t scratch or tear at the slightest challenge. The size capacity starts as small as 24 cans to 48 cans plus pounds of ice. It comes with a replaceable shoulder strap and features a side pocket to store away your valuables. Ao coolers come in numerous sizes as I’ve mentioned above. They are perfect for a day’s trip, nothing more. Also, they can be great lunch bags as well. With that out of the way, if you have money, and you are looking for an inexpensive small cooler, this one’s your best bet. Are budget coolers worth it? is it a good idea to chose cheap coolers over Rotomolded ice chest? Every consumer have their own thoughts on the matter, but we generally recommend users go for high-end ice chests. A cheap cooler is great for budget users and people that don’t use it regularly. Thanks for checking out our affordable cooler reviews and hope they help you make an informed decision on which model is perfect for you.